In celebration of its fourth anniversary, CloudFone has recently launched CloudPad One 7.0, the country’s first Intel-based Android Lollipop tablet, together with the first Intel-based dual-OS tablets CloudPad Epic 7.1 and Epic 8.9, as well as Windows-powered CloudPad Epic 8.0. 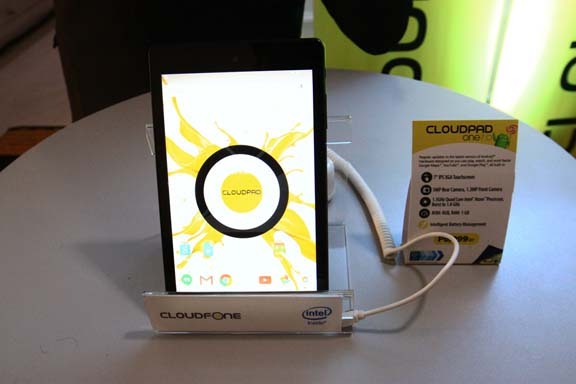 A collaboration between CloudFone and Intel, the CloudPad One 7.0 is a 7-inch Android 5.0 Lollipop tablet that runs on a 1.8GHz quad-core Intel Atom processor supported by 1GB of RAM and 8GB of internal storage. As it is based on Intel’s new 64-bit chip, it supports 64-bit applications and boasts of increased responsiveness that’s great for multi-tasking. 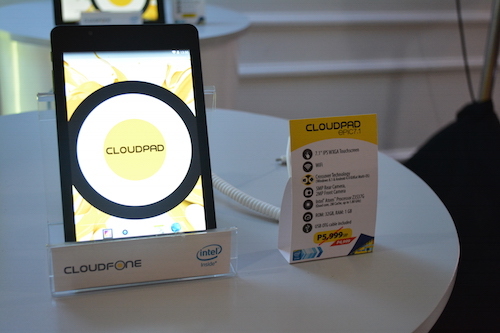 CloudFone One will have over-the-air (OTA) Android updates for up to two years. The CloudPad Epic 7.1 and 8.9, on the other hand, has CloudFone’s unique Crossover Technology which enables them to run on both Android 4.4 Kitkat and Windows 8.1, giving users access to the thousands of apps that Google has to offer, as well as the effective office productivity tools of Microsoft. Both Epic tablets run on a 1.8GHz quad-core Intel Atom processor and feature a 5MP rear camera and a 2Mp front-facing camera. The CloudPad Epic 7.1 has a 7-inch HD display and a 32GB memory plus 1GB of RAM, while the CloudPad Epic 8.9 has an 8.9-inch full HD display and a 32GB memory plus 2GB of RAM. 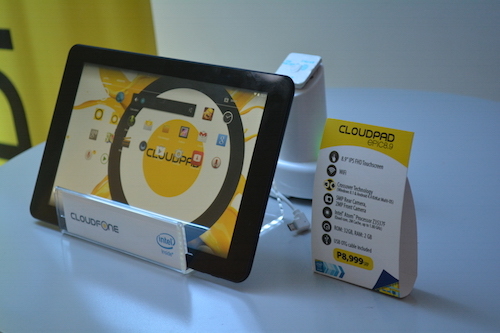 Last but not the least, CloudFone presented the CloudPad Epic 8.0, an 8-inch tablet that runs on Windows 8.1 and is backed up by a 1.8GHz quad-core Intel Atom processor. It features 1GB of RAM and 16GB of internal storage, and is great for regular day-to-day tasks. 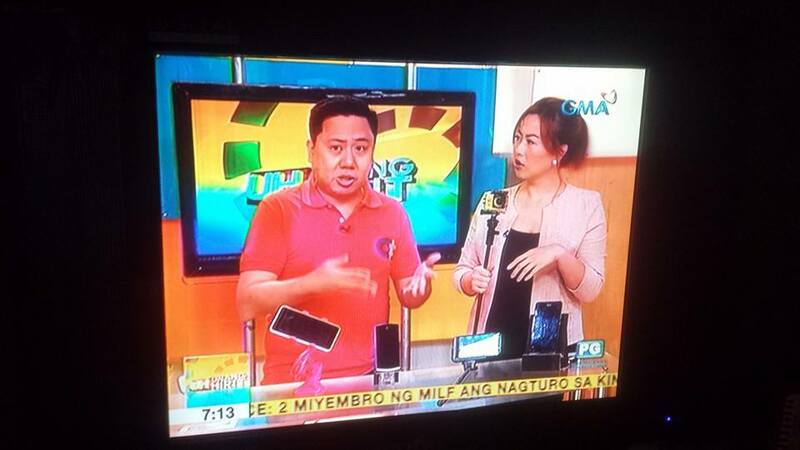 For more information, visit http://cloudfonemobile.com/. 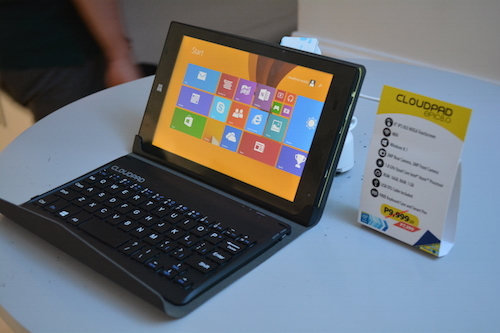 We’ll also be reviewing the CloudPad Epic 8.9 soon, so better watch out for that!